On Thursday 30th January Year 11 students experienced ‘real’ Sixth Form life in preparation for making their final A-Level choices. The students attended lessons alongside current Sixth Form students so that they could experience firsthand what Advanced Level study will have in store. 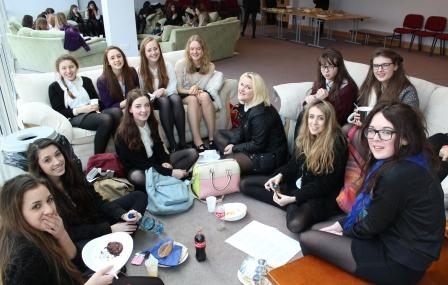 The girls also dressed for the occasion in Sixth Form uniform and enjoyed social time in the Common Room and Sixth Form Cafe. In the afternoon students took part in an interactive Leadership Workshop which allowed Year 11 and Lower Sixth students to work collaboratively to develop their teamwork and leadership skills in preparation for when they take on positions of responsibility as Senior students in the school. The day had a fantastic atmosphere throughout and we look forward to welcoming Year 11 into the Sixth Form in just a few months time!